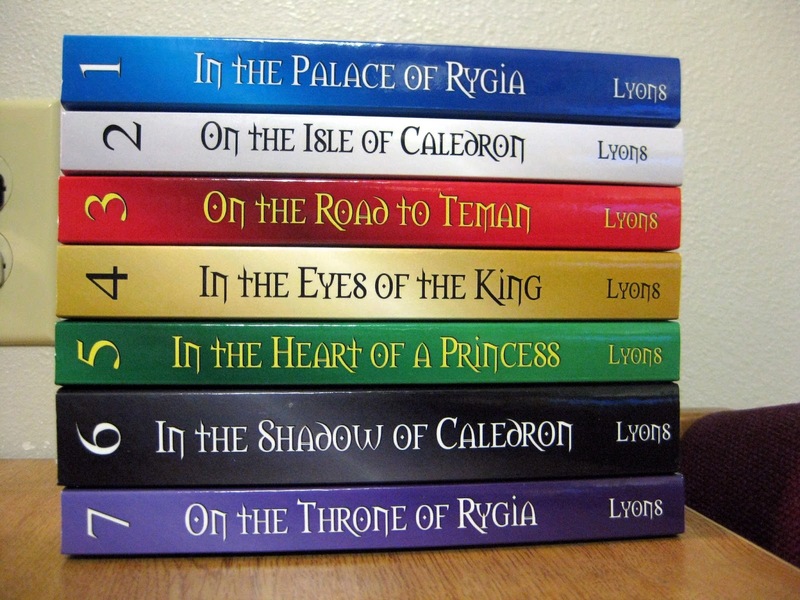 L. Nicodemus Lyons creates an enthralling tale set in two warring countries: Rygia and Teman. I read the first book in two days and completed the rest of the series within two weeks (during midterms; yes, I still passed my classes). I couldn’t put the books down, and I would definitely reread them (I have read book 1 twice now). In the Palace of Rygia captured my attention with the opening line and never let it go. The book had me intrigued, and I and liked the characters within the first few chapters—the conflicted General Corden, the sophisticated and pure Mari, and even the young and determined Paulus. I especially enjoyed how the characters develop throughout the book (and the series). I also appreciate the design and symmetry of these books. Lyon’s writing style is easily comprehendible and does not focus on unnecessary details, but it was still easy for me to image everything. Both the dialogue and settings are believable, and the cultures between the two countries Rygia and Teman are distinct. Because I enjoyed this series so much, book 4, In the Eyes of the King, is among my most Treasured Books. The second book in the series, On the Isle of Caledron, continues the story of Rygia and Teman and develops both the plot and the characters. You can read my review for this book here. In the Palace of Rygia is fairly clean with little blood/gore, but because of some of the darker themes throughout later books, I would not recommend this series to anybody under age 13. I gave this book 5/5 stars for its memorable characters, well-developed plot, and excellent plot twist. I would definitely recommend In the Palace of Rygia and The Alliance series to those who enjoy medieval fiction, adventure, and romance (and I don’t even like romance!). Which books would you like to see me review next? Comment below or vote for a genre in the poll on the right-hand bar (it only takes 2 seconds! ).